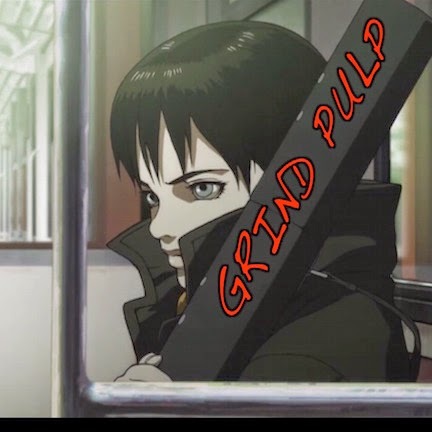 GRIND PULP PODCAST: Grind Pulp Podcast Episode 29 - Get to the Chiroptera! Grind Pulp Podcast Episode 29 - Get to the Chiroptera! The Grind Pulp Podcast delves again into the macabre and manic with MangaMatt's pick, "Blood: The Last Vampire". A short slice of animated action and ardent. Is the movie more style over substance? If it is, is that a bad thing? MangaMatt waxes the digital effects and the legacy the film garners, while Jeronimo and Andrew discuss the movie's unique choice of setting and story-telling angles. Shakespeare said, "Brevity is the soul of whit," and the Grind Pulp Crew put this maxim to the test to find out if minimal dialogue and plot can achieve maximum satisfaction.